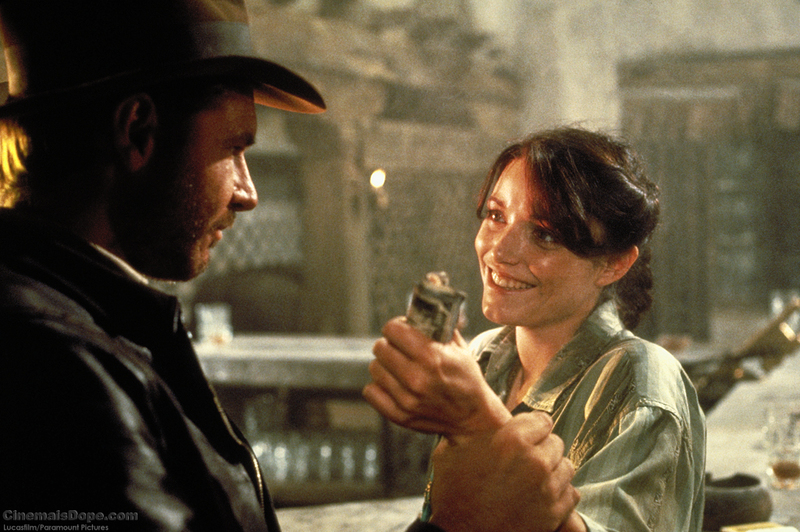 I fell in love with Marion/Karen Allen the first time I saw Raiders at the cinema. The second time I went I remember just staring at her the whole time! Very cool. Did you get to meet her? No, 'fraid not - the picture was acquired many, many years later through the power of eBay. Very cool. I love stories like that about young fans writing letters and getting cool stuff. Great choice man. Marion is the greatest! Marion is a great character. All of Temple's sins are forgiven for giving us Short Round. When I first saw the movie, Short Round was on my list of dislikes (I didn't think Indy needed a sidekick), but he's won me over. Back on the negative side: I know this is an extremely nerdy thing to say, but I hate the gag where Indy reaches for his gun to shoot the swordsman and has to use his whip instead. Only because it's only funny if you've already seen Raiders, which doesn't take place chronologically until later. Even as a kid, I was all, "Ha, that's funny...no, waitaminnit! That doesn't make any sense!" Hahahaha. That will bother me every time I see it now. yes! What a fantastic character she was. And you know, I had never even noticed that she was essentially the "damsel in distress" until you pointed that out.